Will Smith and his 15-year-old daughter sure know how to have daddy-daughter dates we all can envy. 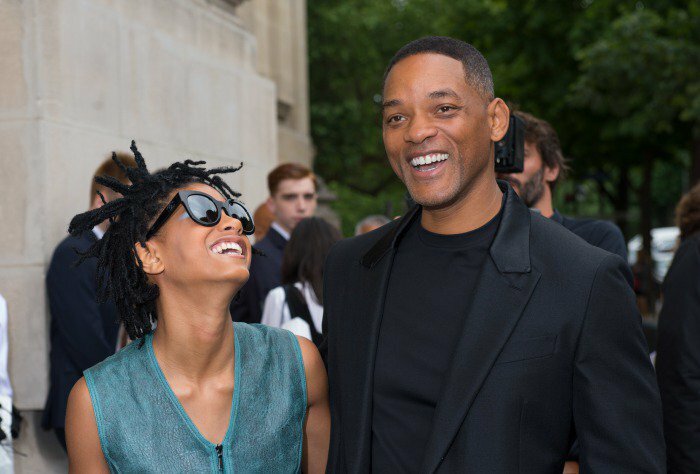 Will and Willow looked the epitome of high fashion — and just adorable in general — as they paired up to attend the Chanel Couture Show during Paris Fashion Week in Paris. While Will opted for a more monotone ensemble with a sleek black suit, his talented daughter was colorful and stylish in head-to-toe Chanel. The trendy young singer is a Chanel ambassador, as well as the face of Chanel eye wear, and she certainly looked the part! 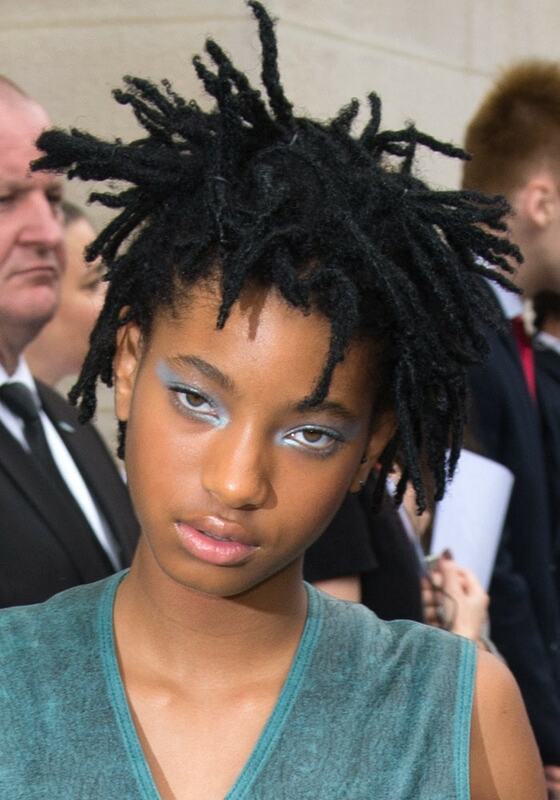 Willow proved her style credentials as she posed for pictures before the show, standing out in a teal pantsuit featuring a zippered and belted vest with matching skinny capri pants. Willow accessorized with a bold pair of black fingerless gloves, adding to the ensemble’s leather theme. She wore a splash of shimmering blue eyeshadow behind her dark sunglasses, and kept the sparkle going with some clear lip gloss. For her feet, the “Why Don’t You Cry” singer chose a fun pair of Chanel brogues. 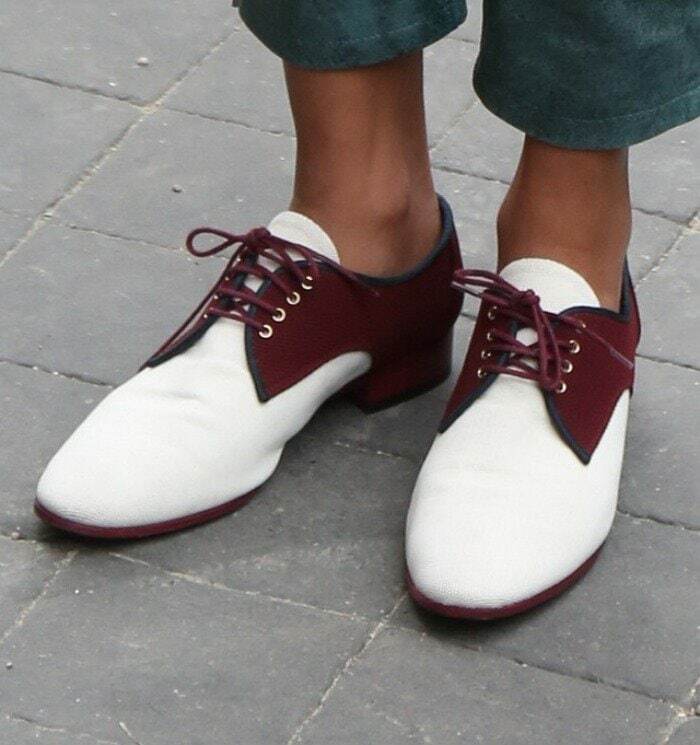 These white and burgundy shoes added some more color to her outfit, which we think was just the right touch, don’t you? These funky oxfords are the perfect combination of functional and trendy, and are fashioned out of contrasting leather and suede materials. Unfortunately these shoes aren’t available just yet, but you can check out Chanel for the latest styles.